LaQuinta Inn and Suites name badges, Recognize your special people, it goes along way.Name tags can help a customer remember who those special employees were. Often times just having a quality badge with a title can help an employee feel a sense of ownership and pride. 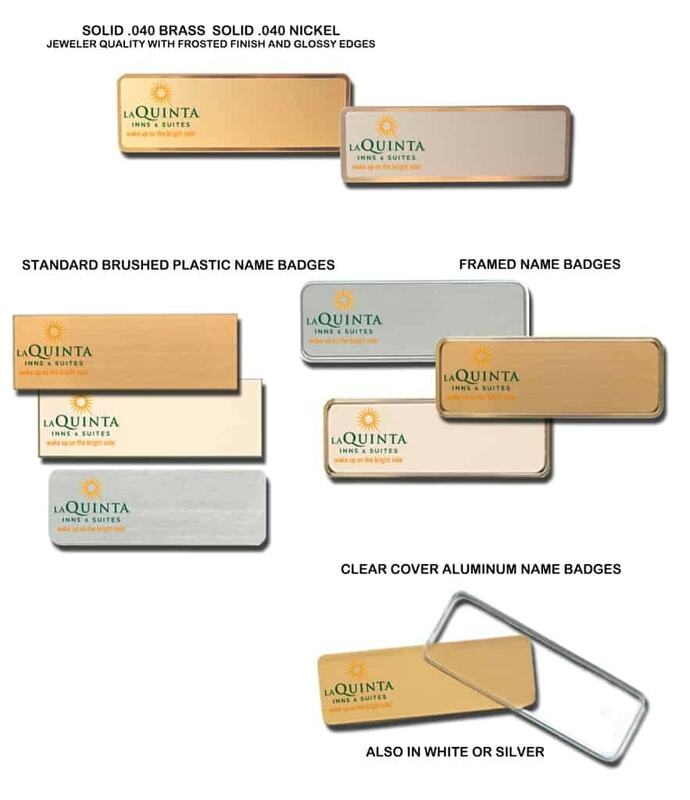 These are samples of logo name badges we’ve done for LaQuinta Inn and Suites. Products by Name-badges.com Inc.